The use of fossil fuels is being questioned for future energy requirements because of its environmentally hazardous substance emissions, price variations, and depletion of resources, among other factors. The adoption of renewable energy technologies aimed at developing a sustainable electricity generation system is proposed as a solution for avoiding or mitigating impacts on regional climatic conditions, environmental degradation, reserves of fuel resources, and for securing the energy supply in the future. If the world’s growing energy demand has to be met in a sustainable manner, renewable energy technologies have to dramatically increase their share in the energy mix in the following years. In this scenario, solar energy is expected to be one of the leading technologies. The increasing demand for solar energy must be accomplished not only in a technically feasible way, but it also must be financially affordable. In solar energy technologies, potential plant designs and projects have to be evaluated through simulation prior to its real implementation to avoid or reduce financial risk. Thus, these simulations become crucial for performing a financial feasibility analysis of commercial projects. A detailed knowledge of the solar resource is a critical point to perform an economic feasibility analysis of a solar energy plant, since solar irradiance is the most determining variable in the final energy yield. 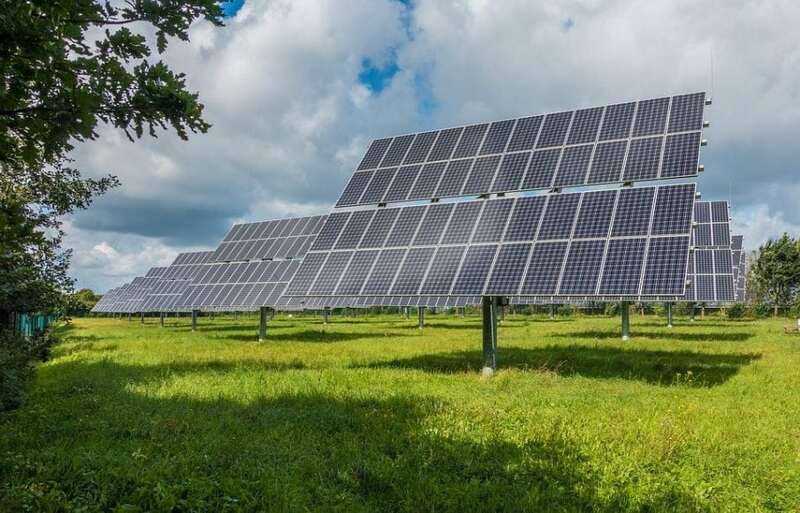 Thus, a high-quality solar resource assessment accelerates the deployment of these technologies by making a positive impact on decision-making and reducing uncertainty in investment decisions. A significant example is the Abu Dhabi-based Shams 1 project, one of the world’s largest solar plants. The main difficulty in this project arose from a 12.5% of error (bias) in the solar resource estimation in the original location. This resulted in an incorrect plant design and ultimately threatened the project. As a consequence, in July 2009 (one year after its conceptual design) the project was withdrawn, and it had to be relocated and re-tendered. The amount of incoming solar radiation at a particular location naturally varies on hourly, daily, monthly, seasonal, annual, and interannual timescales, thus it is not available on demand. In particular, inter-annual variations of solar irradiation may be strong and could seriously harm the return of investment for solar energy projects, and may depend on quasi-oscillatory behaviors in climate following natural patterns (like ENSO, El Niño–Southern Oscillation), stochastic clouds variability, and strong volcanic eruptions, among other factors. Notwithstanding, a long-time series of solar irradiance and meteorological data have been traditionally condensed into one-year series with the aim of reducing data volume and speeding up energy system simulation. Most simulation tools use a one-year series at hourly or sub-hourly scale, constructed to reproduce typical months of the most important meteorological variables for solar technologies. This condensation of data entails a reduction in the information contained in the original time series: information related to variability or extreme conditions is lost. Consequently, simulation results are specific (point) values rather than distributions of values that honor the inherent uncertainty in many of the system features and processes. As a result, the confidence and uncertainty associated with the results are unknown. In this context, the statistical quantification of the solar resource is becoming increasingly important to evaluate a project’s ability to meet the risk and return requirements of various investors. Institutions providing finance for solar projects require the supply of third-party solar resource assessments to address both the long-term estimate of the average electric energy output from the solar project and several statistical probabilities of exceedance scenarios of the expected electric energy output. In the search for an industry-standard methodology for performing risk assessment for securing competitive financing in solar energy projects, a Panel of Experts was established in 2014 under the auspices of the Spanish Association for Standardization and Certification (AENOR). This Panel of Experts has recommended a procedure for generating a meteorological year representative of a given probability of exceedance of annual solar irradiation, the EVA methodology (which stems from the Spanish words estacionalidad, seasonality, and variabilidad, variability, referring to the natural processes that inspire it). It is worth mentioning that the effects of extreme natural events, as well as some human activities (such as possible man-induced climate change), are not considered in this study. The analysis of these effects on solar resources should be monitored and assessed in order to accurately design and optimize future solar energy projects. These findings are described in the article entitled Probabilistic assessment of concentrated solar power plants yield: The EVA methodology, recently published in the journal Renewable and Sustainable Energy Reviews. This work was conducted by the AENOR technical committee CTN 206/SC 117, and involved the collaboration of Frank Vignola from University of Oregon Solar Radiation Monitoring Laboratory. Carlos M Fernández-Peruchena is a data scientist at Centro Nacional de Energías Renovables | CENER · Solar Thermal Energy Department.